The thing about The Nathan Peterman Game is that none of this now is hindsight. Just about every pundit and impartial observer was flabbergasted by the Bills’ switch from Tyrod Taylor after one bad game to Nathan Peterman, who has now had a worse game than anything Taylor ever had—a worse game than just about everyone who’s ever played quarterback in the NFL has ever had. We all said this was a bad idea. No one dared guess it could be this bad. Peterman threw five interceptions in the first half of Sunday’s 54-24 blowout at the hands of the Chargers, and that’s two more INTs than Taylor has thrown all season. No quarterback had thrown five interceptions in the first half since before the NFL-AFL merger. No team had thrown five interceptions in the first half since the Steelers did it in 1973. Peterman’s five picks came on 14 pass attempts, one shy of the record set in 1973 by Archie Manning. No quarterback had thrown five interceptions in his first career start since Keith Null in 2009 for the Rams, and I swear to god I have zero memory of Keith Null existing. No quarterback had thrown three picks in the first quarter since Geno Smith did it in 2014. He should regret the damn decision! McDermott has waffled all year in public statements over whether he thinks the Bills can win now or should build toward the future, and then very clearly bought fully into an unexpected 5-2 start, which might’ve been more smoke and mirrors than substance. And then, after two straight losses—including one putrid Taylor game against the Saints—McDermott panicked and went to Peterman, a fifth-round draft pick best known for his trick shot videos in college. McDermott called the switch “a calculated risk,” and after the debacle waffled again on whether he expected Peterman to be good for the team right away, or if he’s in here to get knocked around and learn for next season and beyond. “This is in part about winning now and in part about winning in the future,” McDermott said. But I find it hard to understate how important winning now would be in Buffalo. This is a team with an incredible 17-year playoff drought. It would be a very big deal to break that, even if the team weren’t a real championship contender. Taylor is a perfectly fine quarterback who can win games, in a league where reaching even that low bar comes at a premium, and if the Bills stubbornly refuse to design an offense around him, they’re still more dangerous with him under center than with an unproven rookie. Could the Bills finally make the playoffs with Tyrod Taylor? It’s a lot more likely than with the insertion of Nathan Peterman halfway through the season. And now poor Peterman, who more clearly than anyone else demonstrated what it looks like when a player is not yet ready for the speed of the NFL, is a punchline. So, uh, what now? The Bills have up next a pair of tough opponents in the Chiefs and Patriots, before two easier games against the Colts and Dolphins. Does McDermott go back to Taylor and push for a wild card, after having basically forfeited a game against a beatable opponent through sheer stupidity, or does he give up on this year and get Peterman the game action he so desperately needs? McDermott’s not tipping his hand for the next game at Kansas City, saying he will evaluate both players this week. But there is no good answer to this now. The only good answer was not to make the switch last week. 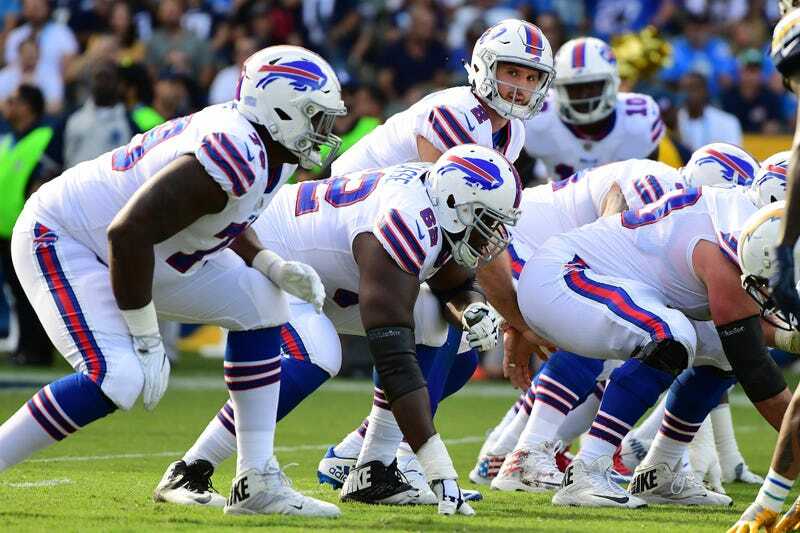 Bills Bench Tyrod Taylor For ... Nathan Peterman?